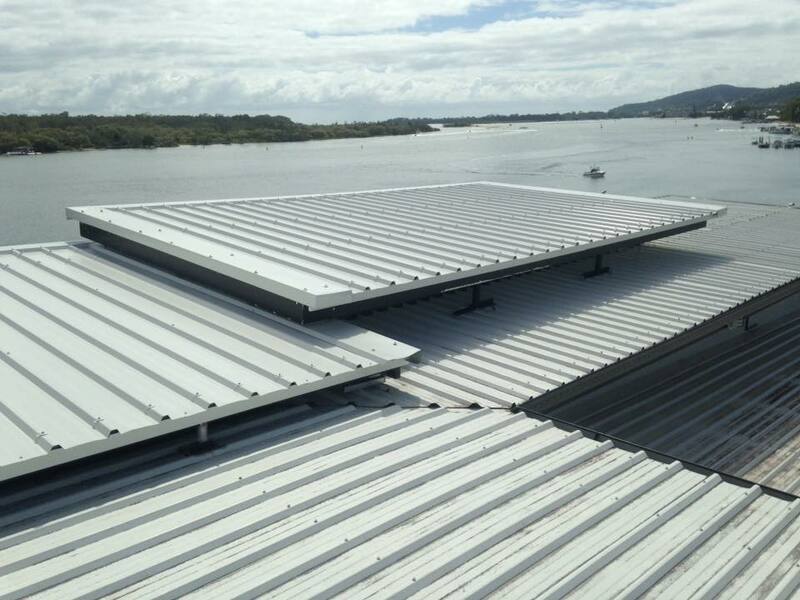 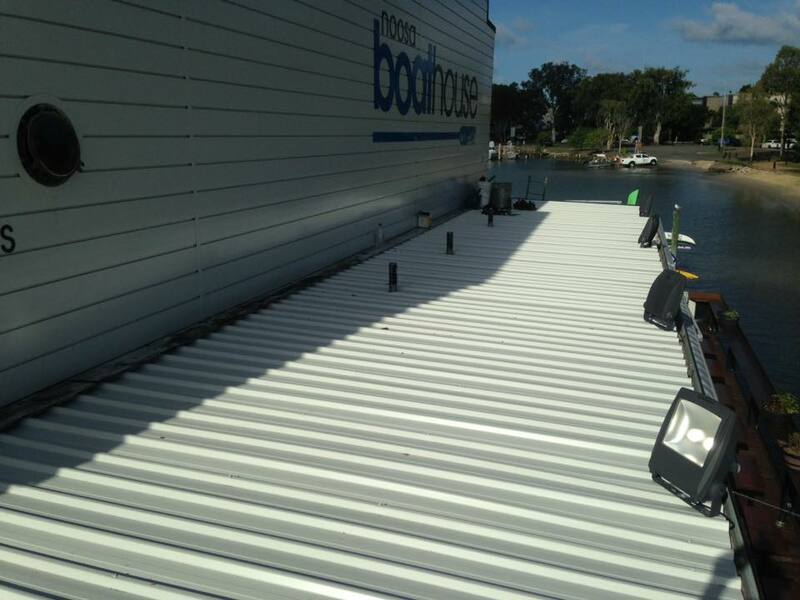 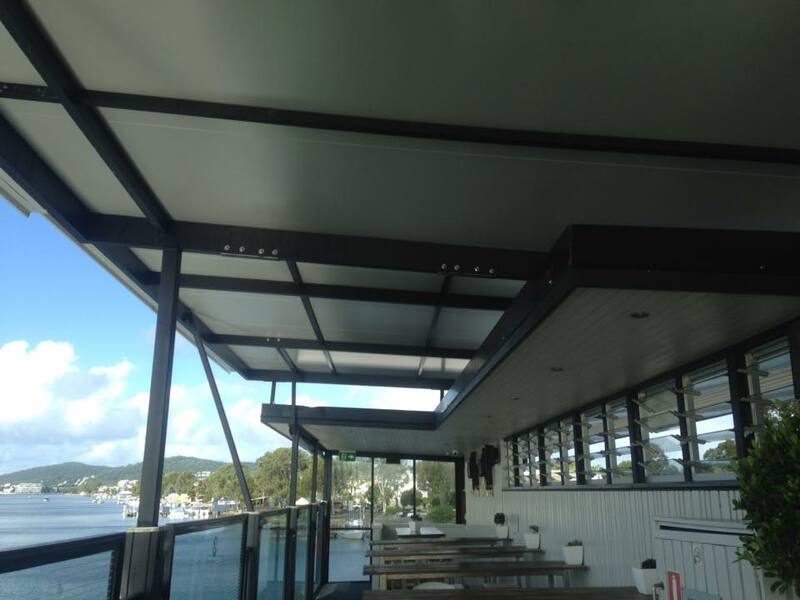 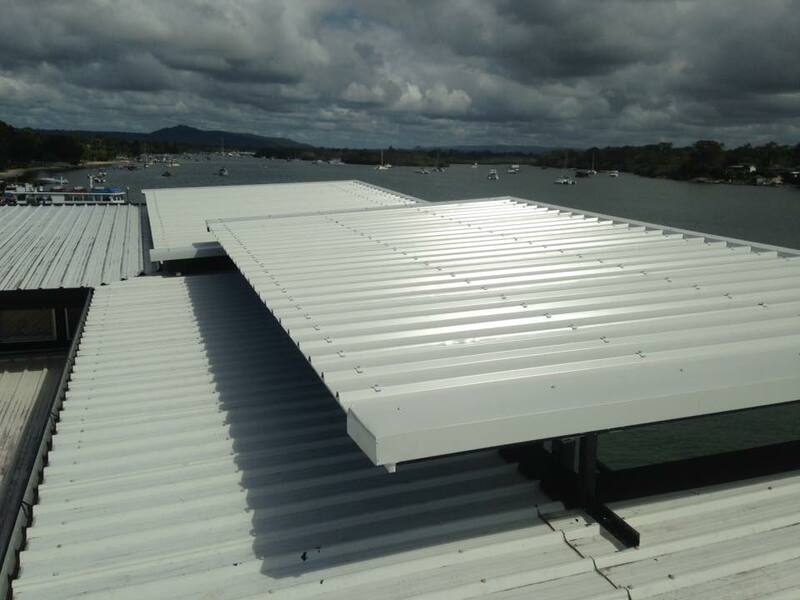 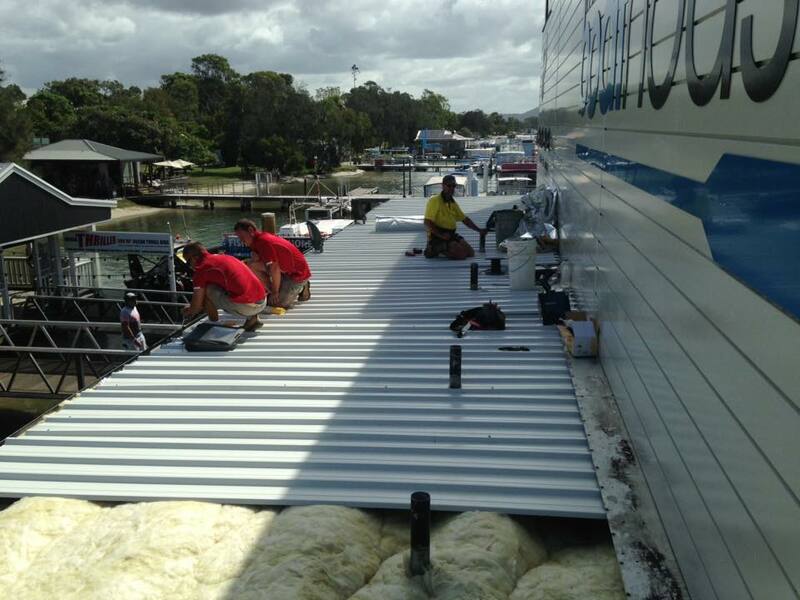 It has been another exciting week here at ESP Developments as we continue our project at the Noosa Boathouse Restaurant. 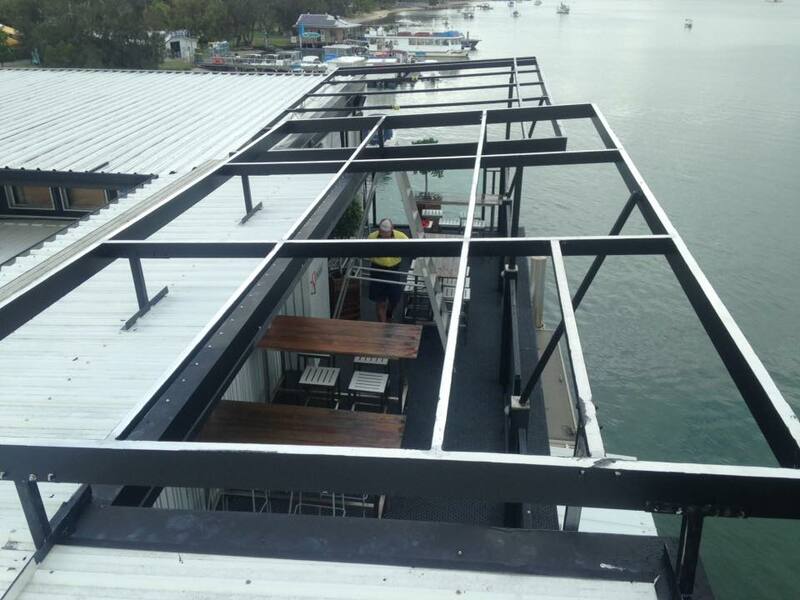 This week, the team has been busy constructing a new roof over the existing rooftop bar. 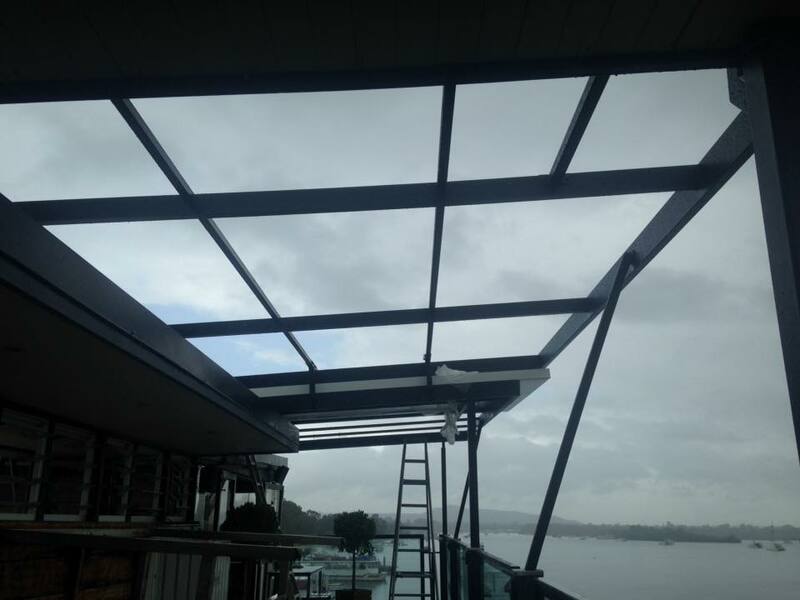 Even the bad weather didn’t hold the team back, and now the Boathouse’s rooftop bar-goers won’t be dampened by the rain either. 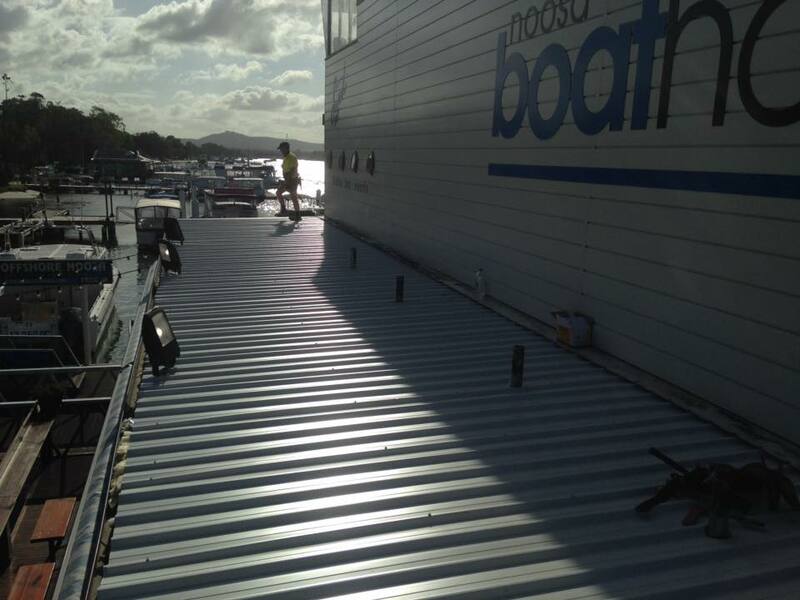 If you’re in the Noosa neighborhood, we definitely recommend the incredible views (along with new roof) of the Noosa Boathouse’s sunset bar. 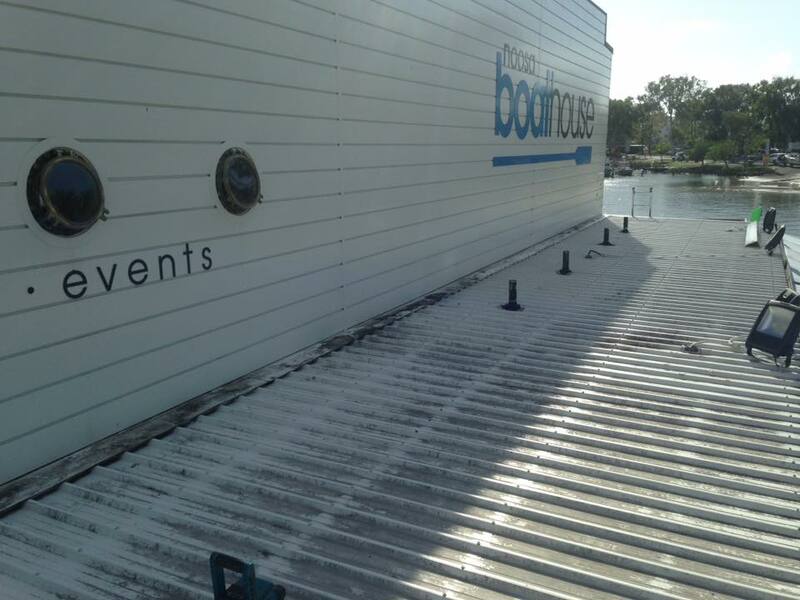 We have had a few exciting weeks here at ESP Developments, with some of the team hitting the road to undertake a project at the Boathouse Restaurant in Noosa. 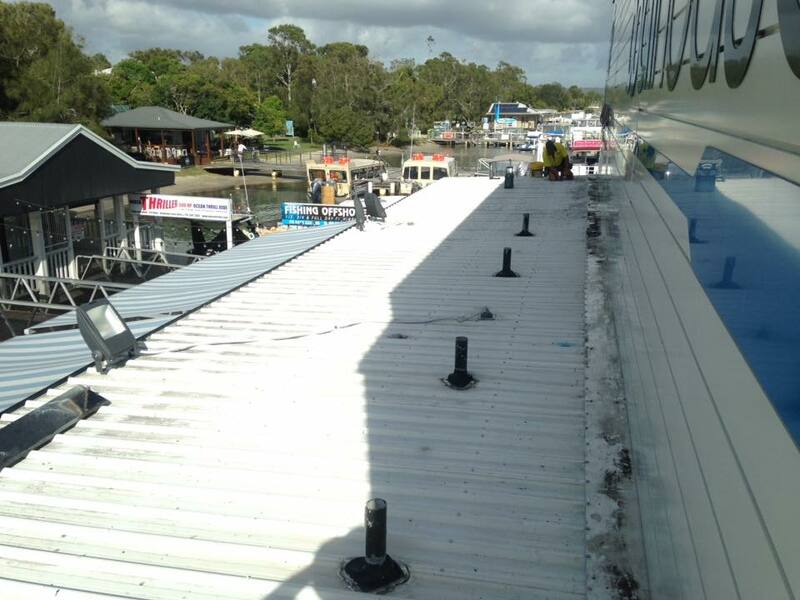 The project thus far has included the removal of existing roof sheeting over the lower deck & cafe at the front of the restaurant. 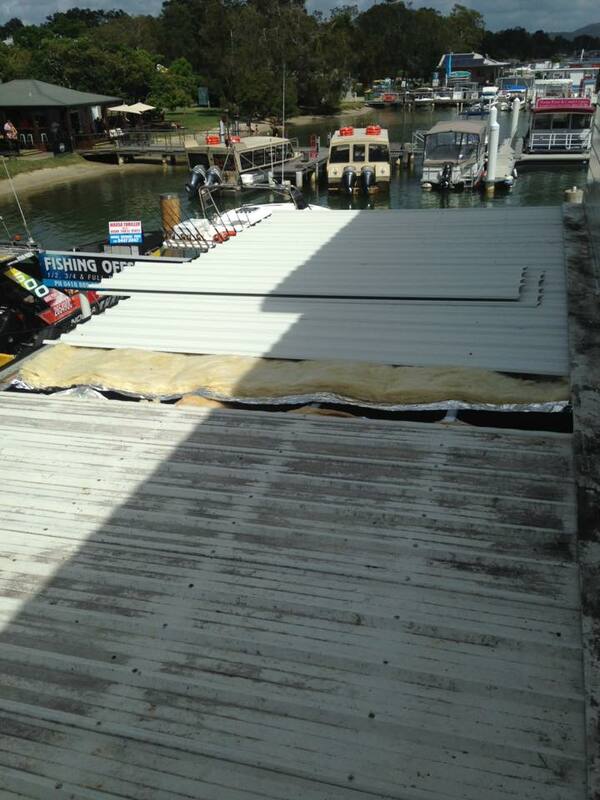 Following this removal, new roof sheeting has been installed. 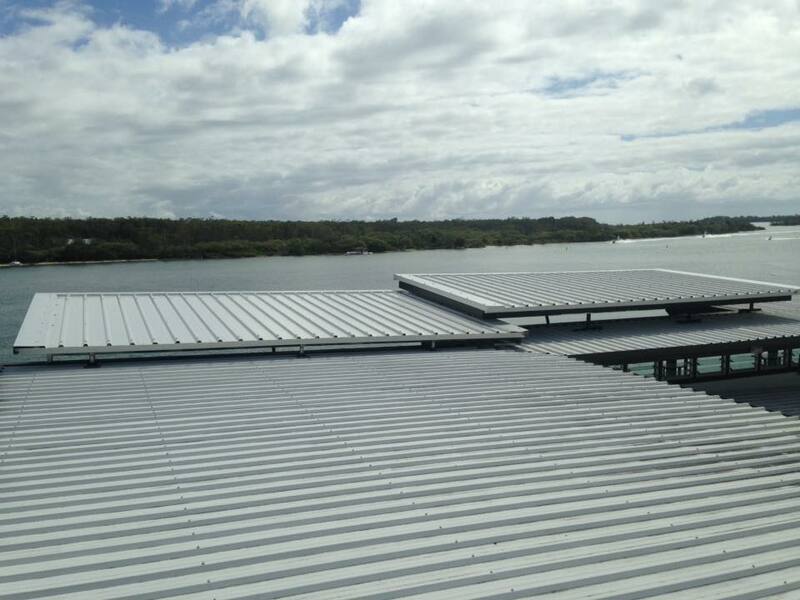 Take a look at the photos, and keep an eye out for more updates on this exciting project!